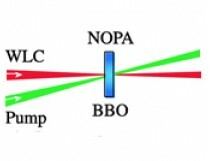 We offer fs-Kits for NOPA with a femtosecond Yb doped fiber laser or Yb:KGW laser at ~ 1028-1050 nm as the fundamental source. 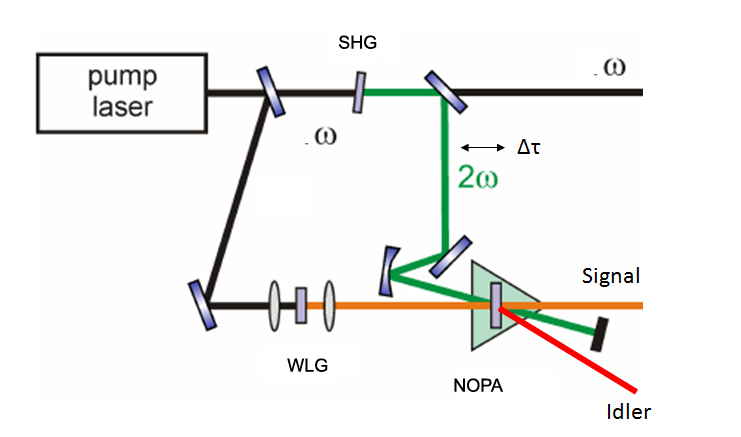 Such a laser is typically frequency doubled to VIS or tripled to UV in order to pump a NOPA. (1) 1 x BBO or LBO crystal for the SHG to green. Standard crystal apertures: 5, 8 mm. (2) 1 x BBO or LBO crystal for the THG to UV. (3) 1 x or 2 x BBO crystal(s) for 1-stage or 2-stage amplification.